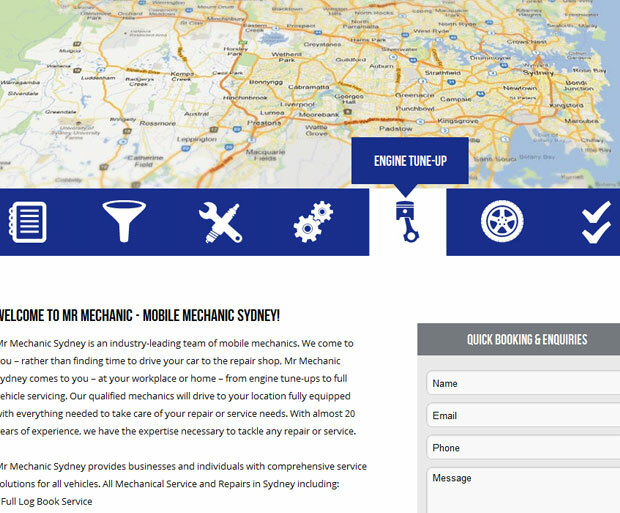 Mr Mechanic Sydney is an example of an advanced web package. 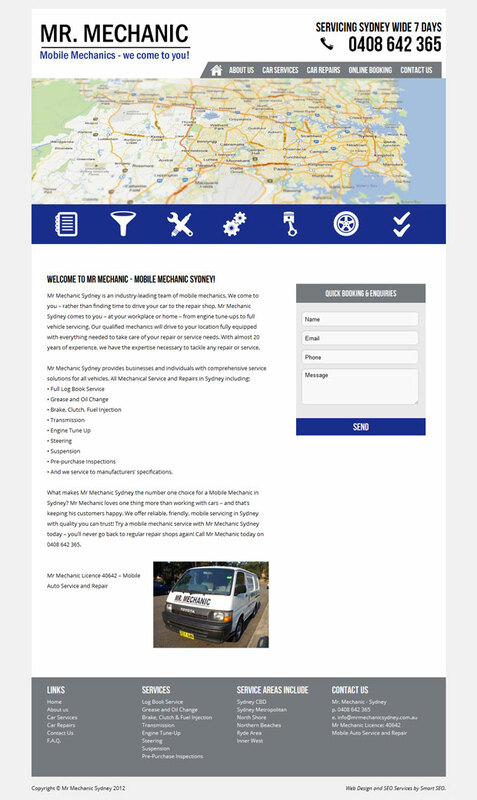 Mr Mechanic Sydney has taken advantage of SmartSEO's content writing service, custom webdesign service and premium interactive coding. 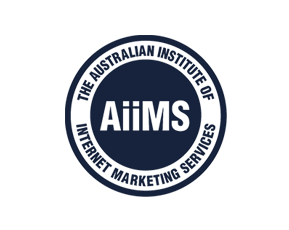 SmartSEO have created a clear – easy to navigate – design, focused on maximizing visitor conversions.